It’s that time of the year again! “Holidays?” you may ask. No, silly! 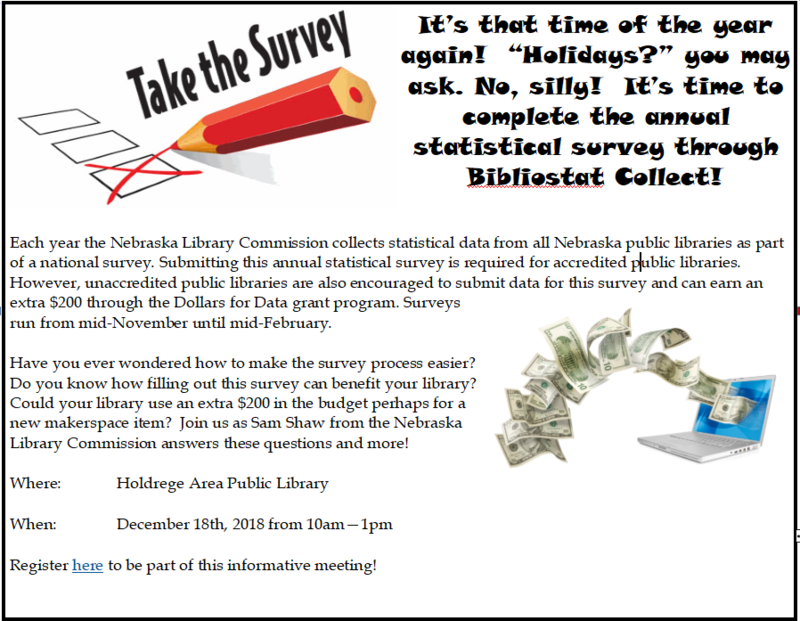 It’s time to complete the annual statistical survey through Bibliostat Collect! But have you ever wondered how to make the survey process easier? Do you know how filling out this survey can benefit your library? Could your library use an extra $200 in the budget perhaps for a new makerspace item? To help answer these questions and more, please join us for an informative workshop being led by Sam Shaw from the Nebraska Library Commission. To find out details about this event, please see the information flyer. If you are interested in joining us, please register here.